Domino's Pizza Mogul: Crowdsource your own pizza toppings combination. The timeless Make Your Own Pizza concept is facing a true test on social media. 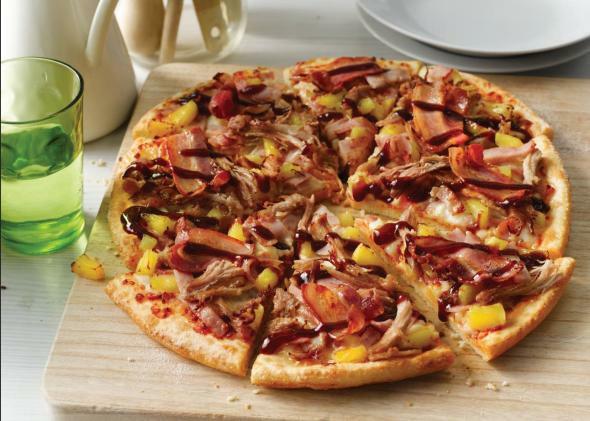 To fire up interest in its menu, Domino’s Pizza Enterprises (Australia’s master franchise of Domino’s Pizza) has been running a monthslong campaign that calls for customers to submit their own pizza combinations. The promotion is branded as “Pizza Mogul” and tagged with three simple steps: Create. Share. Earn. 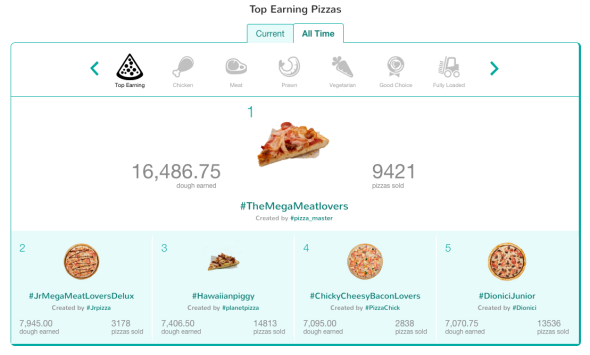 Pizza Mogul is among the latest examples of companies managing to turn their customers into de facto sales reps through social media. They even get a chance to share in the profits: Participants can earn between 0.25 and 4.25 Australian dollars per pizza sold, or about $0.22 to $3.69. According to the Wall Street Journal, the top-earning Pizza Mogul so far—a mystery man who goes by the name “Pizza Master”—has sold more than 12,000 pizzas to make roughly 32,000 Australian dollars ($27,800). He is also responsible for the campaign’s highest-earning pizza: the Mega Meat Lovers (a heart-stopping combination of rasher bacon, ground beef, seasoned chicken, smoked ham, pepperoni, pulled pork, Italian sausage, mozzarella, and barbecue sauce). Making customers into salespeople through social media might be an ingenious stroke, but at least in the U.S., it has drawn some regulatory scrutiny. In March, Cole Haan received a warning from the Federal Trade Commission over a Pinterest contest that gave fans a shot at a $1,000 gift card if they shared images of Cole Haan footwear with the hashtag #WanderingSole. The FTC frowned upon the Wandering Sole campaign, complaining that posts motivated by the campaign were essentially sponsored content masquerading in unsponsored form. Got others? Put them in the comments below. Happy pizza-ing!